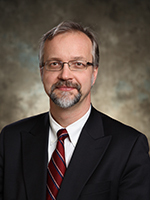 Mihkel Tombak’s research interests encompass many areas of industrial organization (IO) including; economics of technological innovations, technology strategy, competition policy, and financial economics. Recent projects include: studies introducing firm cost asymmetries into theoretical IO models (e.g., into Hotelling type models and vertical differentiation models); policies which accelerate the timing of adoption of “green” technologies; joint venture agreements; and, merger sequences and the effect of post acquisition operations on “strategic rollups”. He has published articles in journals such as: Economic Journal, Journal of Industrial Economics, International Journal of Industrial Organization, and Management Science. He started his academic pursuits with an engineering degree (B.A.Sc.) from the University of Toronto in 1981, an M.B.A. at York University in 1984, and a Ph.D. from The Wharton School of Business at the University of Pennsylvania in 1988. Professor Tombak serves as the HATCH Chair in Technology Management and Strategy and is the founding Director of the Master of Management of Innovation program. He has served on the faculties of the European Institute of Business Administration (INSEAD) in Fontainebleau, France, University of British Columbia, Helsinki School of Economics, and Queens University in Canada. He is an Affiliate Professor at the European School of Management and Technology (ESMT) in Berlin and is an Associate Fellow at Centre Interuniversitare de researches des analyses des organizations (CIRANO) in Montreal. In addition, Mihkel has also served in a number of visiting positions at Northwestern University, the Wissenschaftszentrum Berlin, University of Waterloo, and the Institute of Industrial Policy Studies in Seoul, Korea. He has served in a consulting capacity for a number of private and government organizations including: the Canada Post, Department of Foreign Affairs and International Trade, World Bank, Industry Canada, and the Ministry of Industry and Trade of Finland.